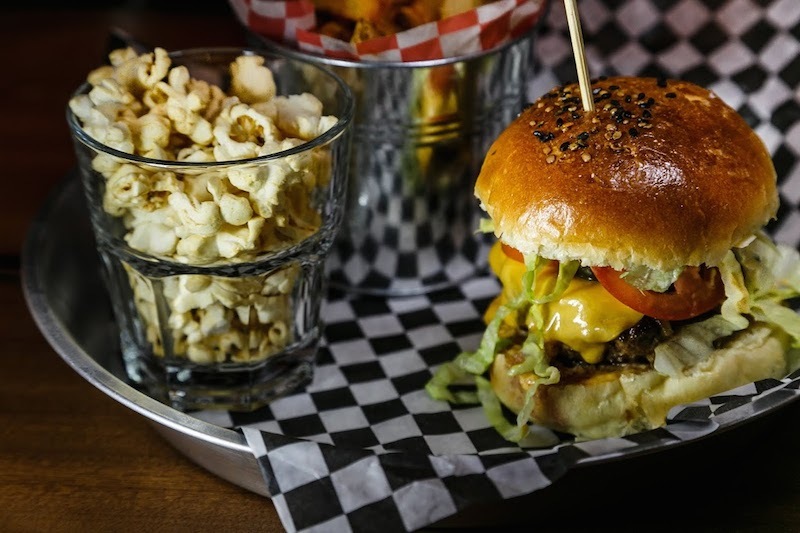 Whether you’re part of Montreal’s media, an excited social scene staple or one of our city’s always sharply dressed, party hopping celebrities, chances are you think you’ve seen it all. Sure there are the gallery openings and album launches and those you-had-to-be-there moments all year long but nothing compares to last night’s roof blasting party thrown by the gang at Rosewood Restaurant and Bar. The guys worked hard all day to make the evening as memorable as possible and here’s our take on how the night rolled out. Though Rosewood (named for the wood used in making guitars) has been open for about a month (they had their soft launch back in July), last night was their massive media launch and official opening. 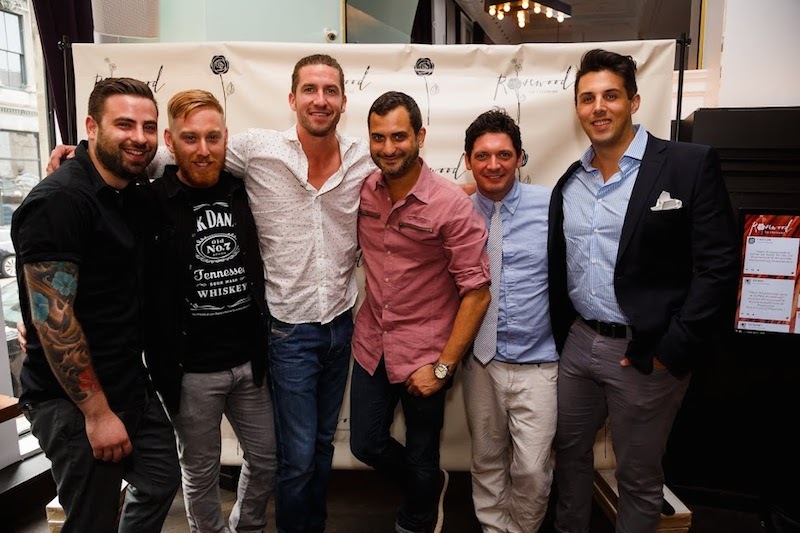 Packed to the rafters with local celebs, hungry foodies, glitterati, friends and just about everyone in between, the six owners (and very good friends, pictured above) warmly greeted their guests (after a long day of prep starting at 7:00am) with delicious teases of what the kitchen will be offering while freshly mixed, thirst quenching drinks helped us wash it all down. Early in the night a line formed on the black carpet outside the restaurant where partygoers were eager to come inside and be part of the buzz. 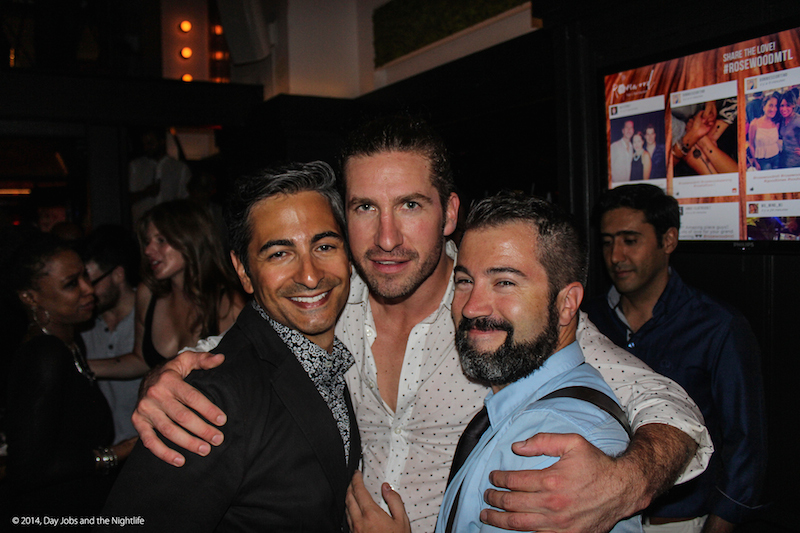 Some of you may already be aware that one of Rosewood’s owners is none other than Jonas Tomalty (yes, that Jonas, centered above with Blair Dohey of DJNL on his left and Dax Guinta of Man About MTL on the right) of Jonas and the Massive Attraction. We had the pleasure of sitting down with Jonas for an exclusive interview just before the gong struck and the delightful madness took over. He told DJNL that he was excitedly nervous about the night but certain that it was going to be a great party and a wonderful start to his first restaurant. Jonas looked the part of cool, calm and collected as he revealed that before making it big on the music scene here in Canada and in Europe he got his start in local restaurants as a busboy, then a waiter and all the way to bartender. When he was signed to a recording contract and the touring started he had to step away from the restaurant business but always knew he’d come back to roost one day. Now with a new hit record under his belt, two summer tours (one with his band and another with local singer Marie-Mai) and a restaurant that’s being buzzed about all across the city, I doubt that Jonas will have to worry about what to do in his free time. During the opening night celebrations waiters and waitressed toured the restaurant with platters of delicious food for the hungry guests. The food I tasted at Rosewood’s opening was delightfully good (I’ll be definitely going back for a full review) but I wasn’t too surprised by this. I’ve known for quite some time that they share a kitchen with the very well established Joverse, which means your taste buds are going to be in for a wild ride. Everything served is homemade, right down to the sauces and the cocktail menu is treated with the same respect. Rosewood’s décor could be described as futuristic art deco meets rock and roll. It’s divided with a lounge area downstairs and a small dinning room and bar on the upstairs mezzanine. The mezzanine looks down over a fully functional stage that also transforms into more table space when live bands won’t be performing. 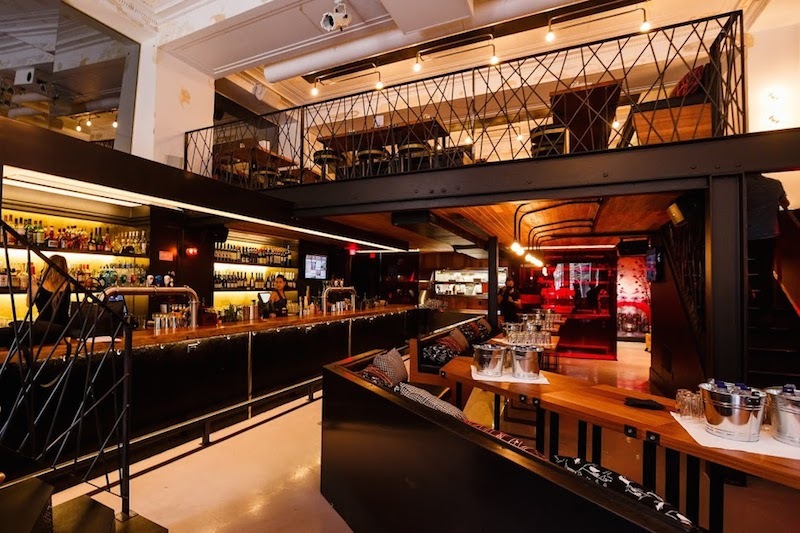 The mezzanine is a great spot to kick back with a couple of drinks and some food while downstairs with it’s wall length bar and select seating will make those standing room only nights just that more comfortable. 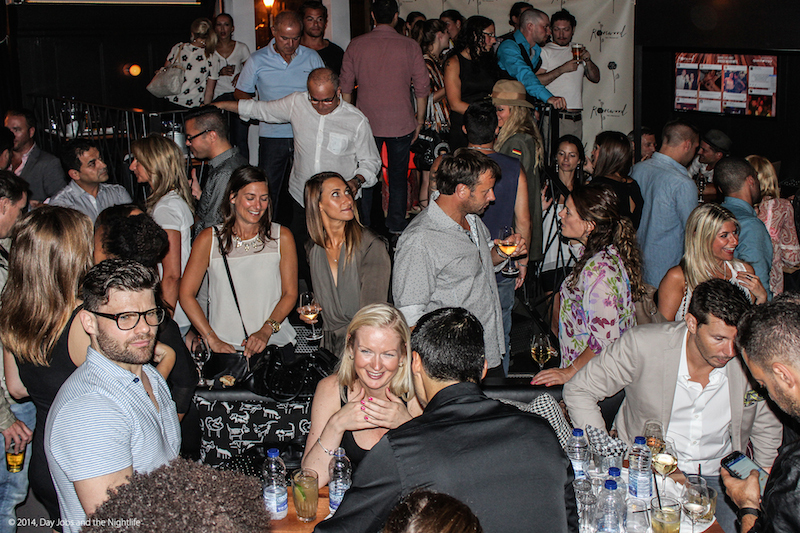 As a nightlife hotspot Rosewood is already a big hit with Montrealers and that success is about it explode even wider. I’m excited to see what’s to come from this new restaurant in the coming months (I know they have a few surprises up their sleeves). I’d like to wish my friends Julian and Jonas good luck but I don’t think they’ll need it. The hard work over the last few months and the wonderful food, drinks and ambiance will speak for itself.